Since about the middle of the last century, Charles Wentworth has had 28 jobs, 22 addresses, 14 computers, 11 presidents, 7 cars, 6 years in the Coast Guard Reserve, 5 good friends, 4 mortgages, 3 careers, 2 children, and 1 wife. So far, no arrests, and his wife hasn’t left him yet. 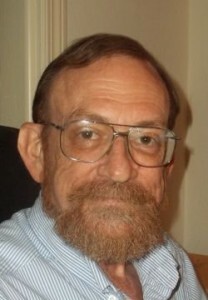 From his home in Columbia, South Carolina, he works at writing fiction, non-fiction, and occasional computer applications. In previous lives, he has worked as a market research analyst, a network administrator, a social worker, an editor, a photographer, a commercial copy writer, and a teacher, among other things. In his spare time, he likes to read, fume at politicians, plug into the internet, and drink beer. He no longer cares for cats.